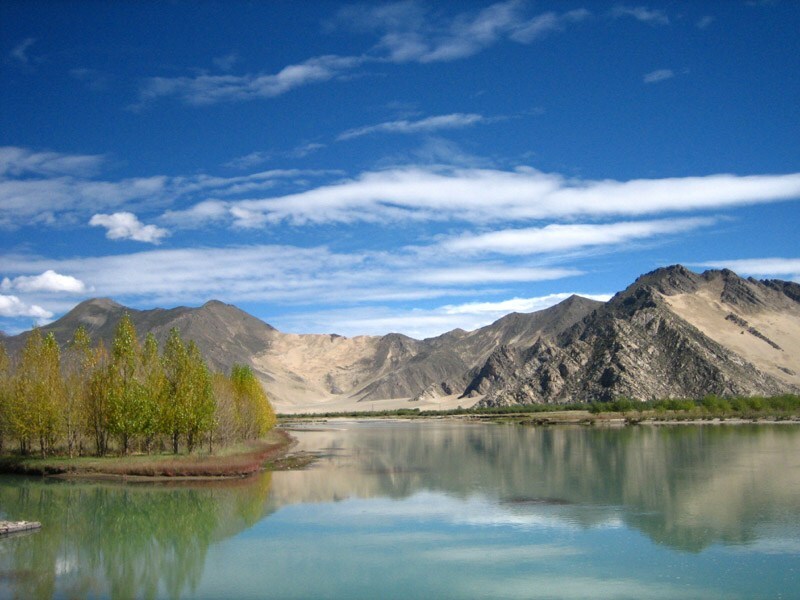 At least three huge artificial lakes holding colossal volumes of water have formed on the Yarlung Tsangpo river in the Great Bend region after a 6.4 Richter scale earthquake struck on November 17, posing a danger of great proportions to the people living downstream in Arunachal Pradesh and Assam, alarms a Deccan Chronicle report. The earthquake site and the artificial lakes sites are not very far from Arunachal Pradesh where the river, after making a nearly 180 degree southward turn is known as Siang, joins the Lohit river downstream to become the mighty Brahmaputra in Assam. The quake epicentre in China is located a mere 259 km from the densely populated Dibrugarh in Assam and 261 km from the commercial hub of Tinsukia, according to US geological data. “This aspect has very dangerous portents for Arunachal Pradesh and Assam and must be urgently investigated with high resolution satellite data by Isro/National Remote Sensing Centre as well as seeking cooperation from Chinese authorities,” Prof Nayan Sharma, a prominent river engineering expert presently with IIT Roorkee, said. “The danger to the downstream riparian population could be in form of serious health hazard and potential largescale devastation due to the sudden breach of dams due to debris slides,” he said. The report cited there is a precedent too. In 2000, a temporary lake burst in the Yigong Tsangpo tributary resulted in sizeable loss of life and property especially in Arunachal Pradesh. The earthquake, along with a series of accompanying aftershocks, caused huge landslides in the ecologically fragile but immensely mineral-rich region which has the deepest gorge on earth where the swift river flows, surrounded by craggy and very high peaks with many measuring more than 7,000 metres in height including the Namcha Barwa (7,782 m) peak. The devastating energy may be gauged from the fact that in just a 30 km stretch the river drops by about 2,000 metres or two km. The incident came to light following local Arunachali people panicking on seeing the usually crystal-clear waters turning black. Other experts also stressed on immediate measures to avert the threat, the report added. Besides controlled explosions by the Chinese authorities to gradually draw out the building water, there is an urgent need to undertake round-the-clock monitoring of the Area of Interest in the Great Bend and down below using high resolution satellite data by ISRO on the developing situation. “Unstructured Block Ramps may be provided in the downstream part of the Siang river to retard and slow down the likely high flow velocities in the event of sudden lake burst, so as to attempt weakening the devastating stream power,” suggested Sarma by way of warding off the clear and present danger, added the report.